matthewjosephpayne | Music and performance, dark and light, loud and soft. A band of superstars. And Shows to see them at. Look, I’m not even going to try to catch you up on all the stuff I’ve failed to write about over the past few months. Just know that it was awesome and you should have been there. There’s a lot of great upcoming stuff though, and you should know about it, so here we go. First off, Flight of the Bleeper Bird has been programmed for an upcoming concert by the Bay Area new music group Composers, Inc – the concert is called BAMM!, it’s happening in Berkeley, and it features works by some of the raddest bay area composers, as well as some of the raddest bay area ensembles – including, of course, the fabulous Meerenai Shim playing my piece and a piece by Winton Yuichiro White titled Erratic Tale. There are no presale tickets, but check out the Composers, Inc website and the Facebook event for more info. But WHERE, you ask – WHERE can I see such a fabulous ensemble perform the music of Matthew Joseph Payne? Well I’ve got not one, but TWO places for that. See? There’s one. This will be the debut of the Matthew Joseph Payne ensemble – and bonus points! 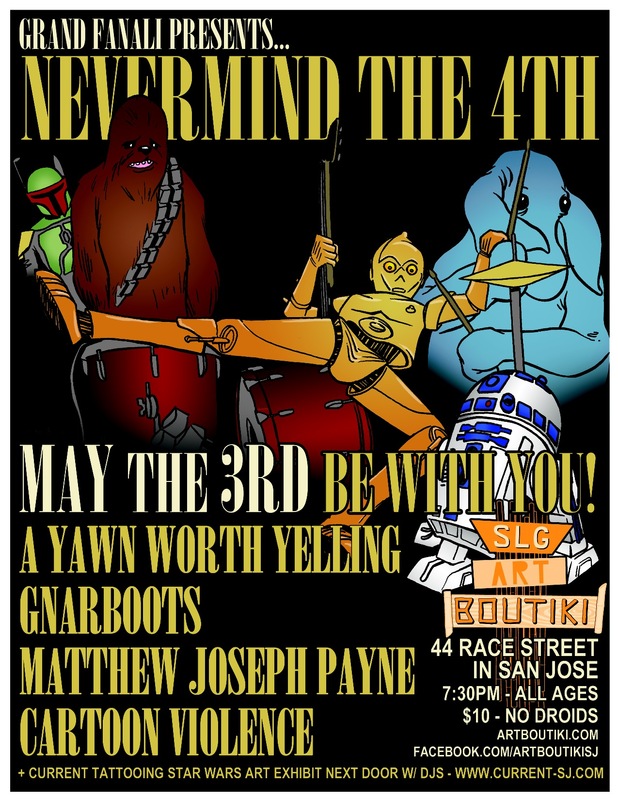 I’m sitting in on drums with Cartoon Violence (along with Dawn Deacon of The Killer Queens) and any amount of madness is scheduled and likely to ensue afterwords during the Gnarboots and A Yawn Worth Yelling sets… also, Star Wars stuff. Also in May, I’m happy to be returning home to 8bitSF, to play a wild set with my band AND provide a horn section for our awesome friends in Slime Girls – more info on this later, but you will be SO BUMMED BRO if you miss it. 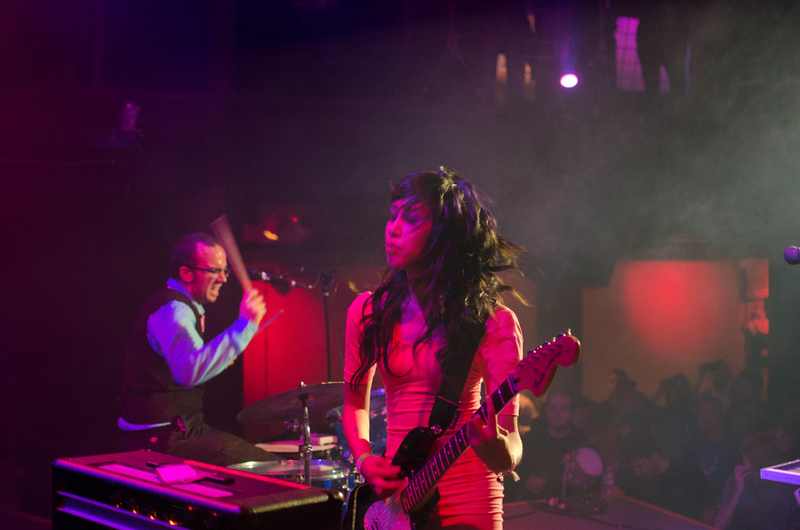 December 16th show in SF, plus A/B Duo EP release and ILBT Indiegogo! A week from tonight, I’ll be cracking some older tunes out of the archive for a two saxophone and guitar set in SF with some fabulous, fabulous bands. I made my acquaintance with Garage Voice (hailing from Seattle) when I played a show with them as part of The Family Crest a few months back. They’re passing through town again this month and I jumped at the chance to share a stage with them. Also joining us is my always amazing friends in Makeunder. I would love to see you at this event, on a nice lazy Monday evening! In other news, A/B Duo (Meerenai Shim and Chris Jones) recently released their first EP titled “Things We Dream About” which features the titular piece by Ivan Trevino, as well as my own “Echoloquacious” for flute, drumset/vibraphone and LSDJ! You can get it on Amazon, iTunes, Spotify and the rest, but I always recommend you check it out on Bandcamp. If you like the fuzzy NewMusicPop feeling that gave you, I would encourage you to support the International Low Brass Trio in their Indiegogo campaign, which ends in just six short days! 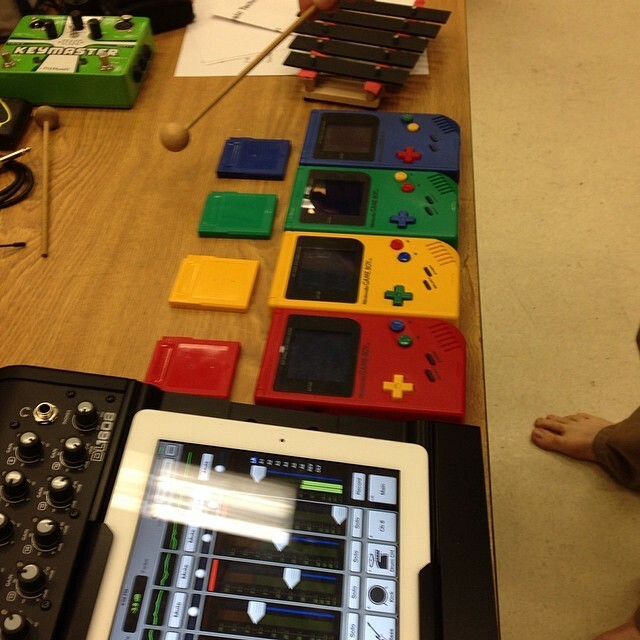 Besides touring Canada and taking my piece “Tolerances” with them (along with a Game Boy), they’re hoping to record an expanded version when they come home, along with a bevy of awesome new works that they commissioned this season. You can check out what they’re doing here and pledge to help out! Oh and here, check out the premiere performance of “Tolerances”! 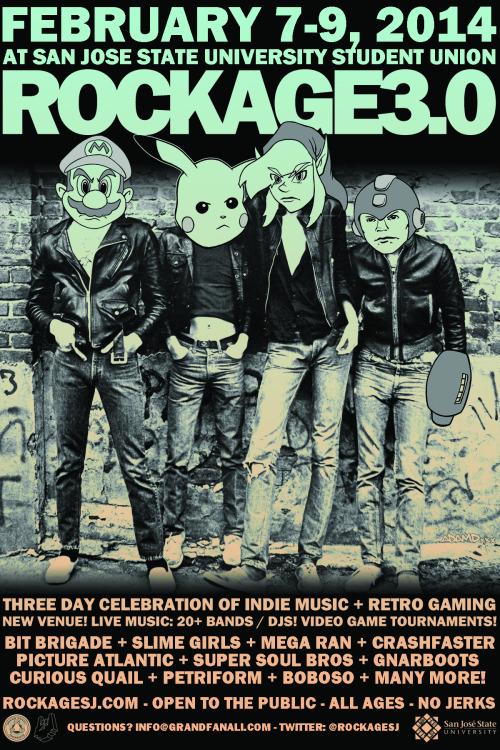 And more new and more news… Rockage returns next February with Rockage 3.0 at a new location! I’ve got fun exciting things in store for this year, including collaborations and a new record (I hope!) so keep tuned. For now, you should probalby pre-order your tickets – 3-day passes are still $20 on brownpapertickets! More info to come, but the first thing you should know about is that we’re playing 8bitLA’s fabulous Frequency 3.0 in January. You can get 3-day passes for $20 for this too! MJP @ GCG + ILBT = !!! 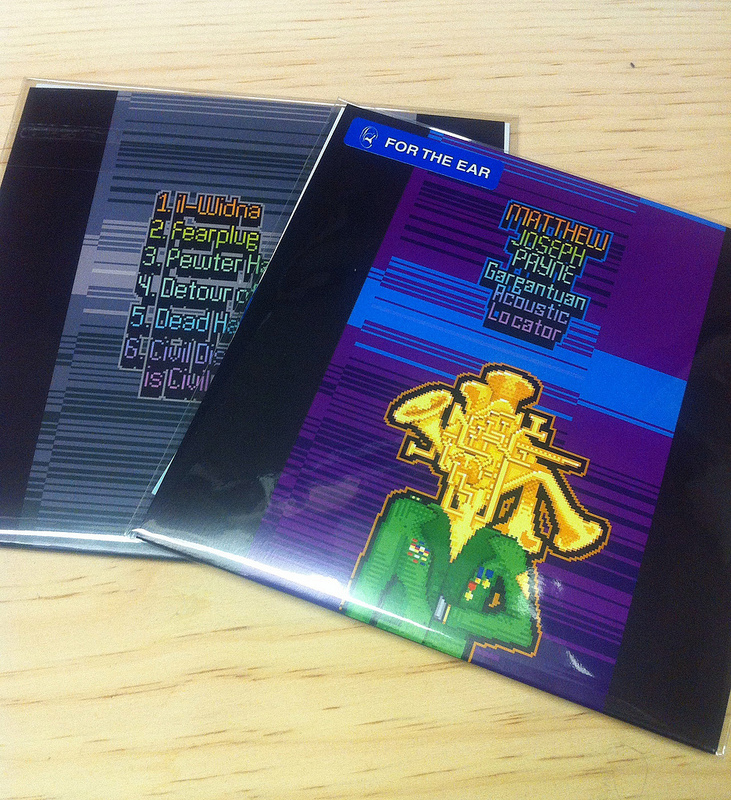 Also, A/B Duo preorders! The International Low Brass Trio, in collaboration with the Guerilla Composer’s Guild, will be debuting a new piece by yours truly for french horn, trombone, tuba and LSDJ on November 15th along with a host of other awesome new compositions by local composers! Not to be missed. This has been a really fun and exciting project and I’m super excited to hear it come to life! I talked a little bit about working with the ILBT in a mini feature they posted on their blog – while you’re there, be sure to check out the features on the other eight composers whose works are being debuted! 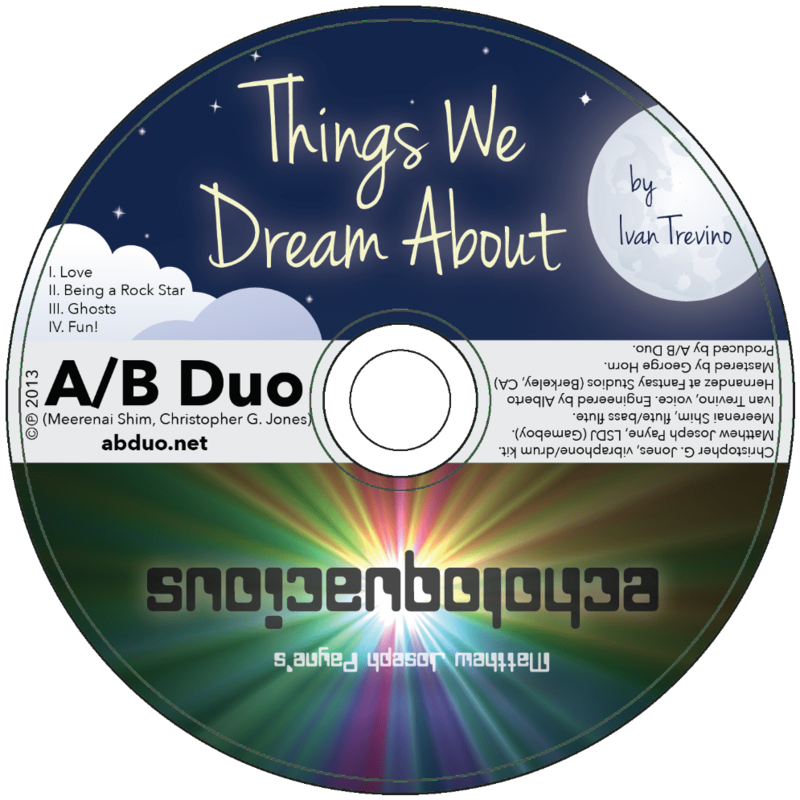 That’s right, A/B Duo is making this rad limited edition CDs of their EP of “Echoloquacious” and Ivan Trevino’s “Things We Dream About”, and you can pre order them (and the digital version) at the A/B Duo Bandcamp! Right now! 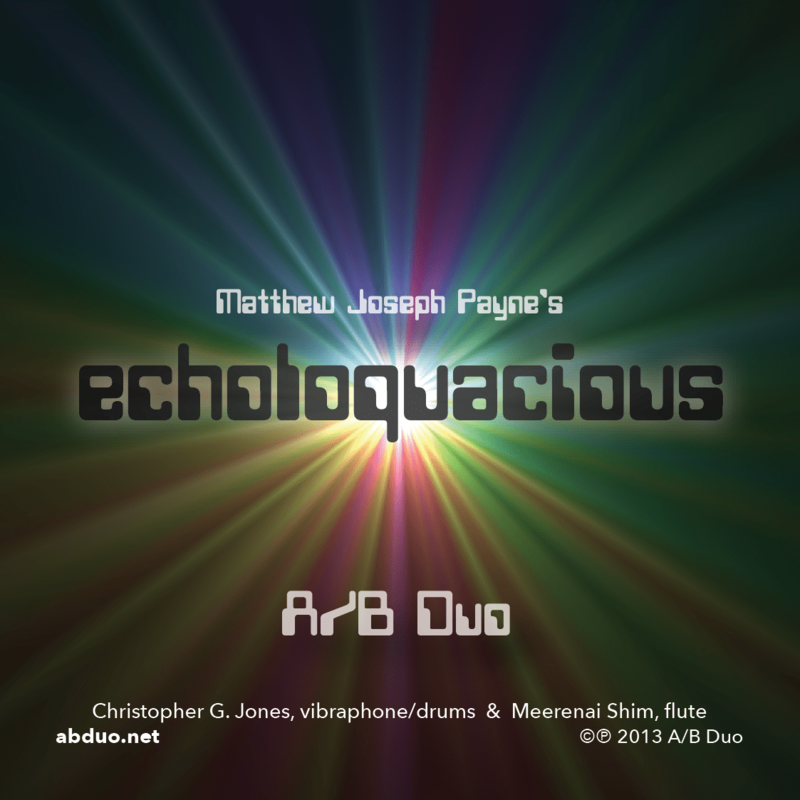 In case you haven’t seen it already, here’s a neat teaser for Echoloquacious. The recording they did of these piece is absolutely fabulous! New Track! New shows! LA! SJ! 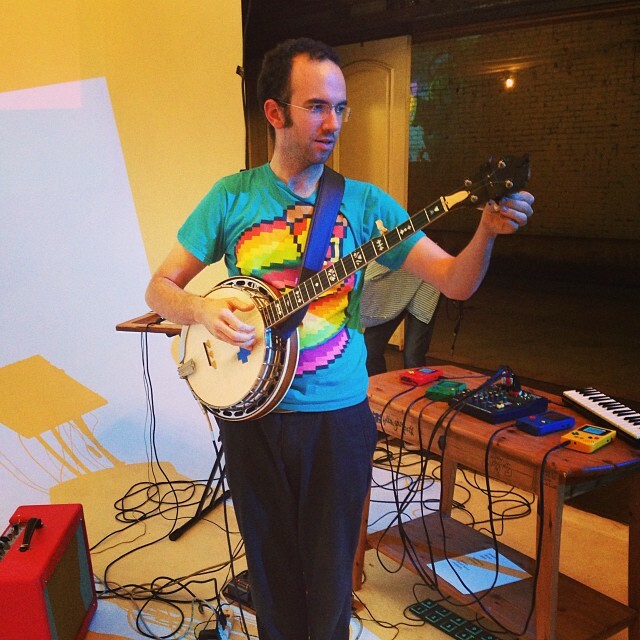 If you were at 8bitSF early last night, you may have caught me previewing a new tune at the open mic. Or maybe you were in the back room playing Dragon Fantasy, but I’m not judging. Either way, that track, Quintation, is available today on pxl-bot’s Weekly Treats series along with a rad interview – check it out! I’m excited to be making a triumphant return to San Jose’s fabulous Cafe Strich in this free megashow of epic proportions! 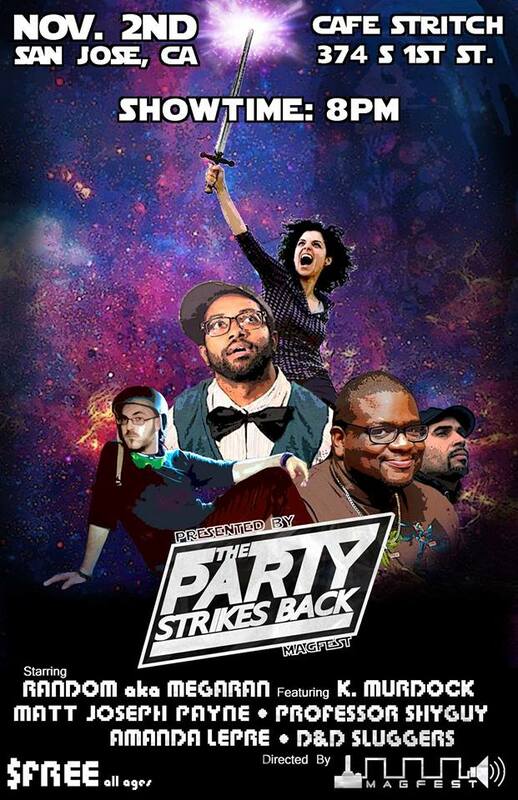 I’m especially excited to be sharing the stage with North Carolina’s D&D Sluggers for the first time. I am fairly confident that something unusual, interesting and collaborative will occur at this show.